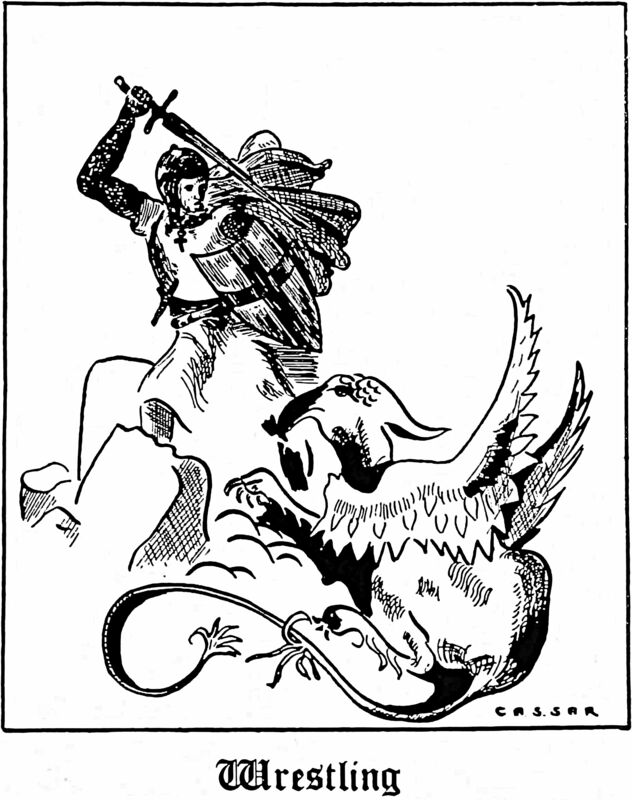 Wrestling, dragon slaying … same difference. 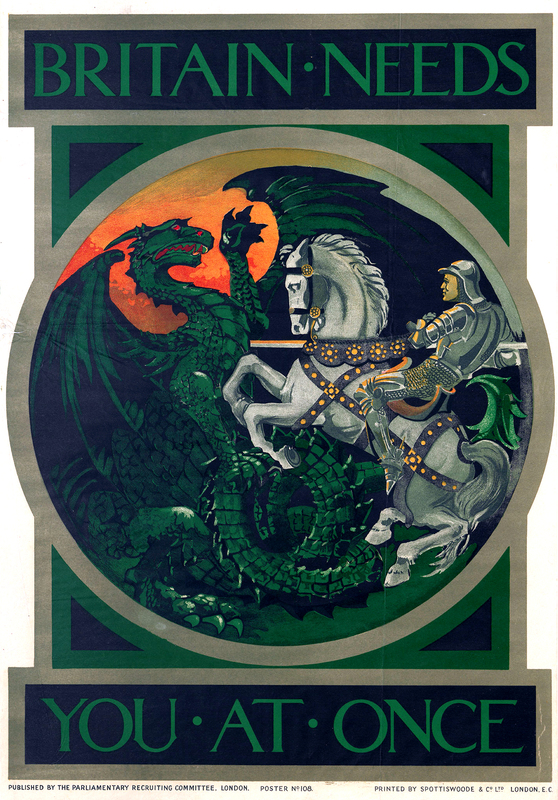 From Kent State's 1933 yearbook (our restoration). 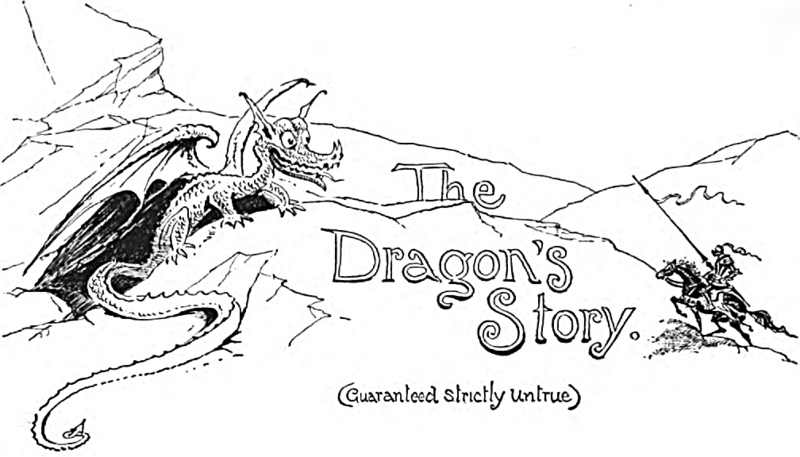 "The dragon's story. (Guaranteed strictly untrue.)" 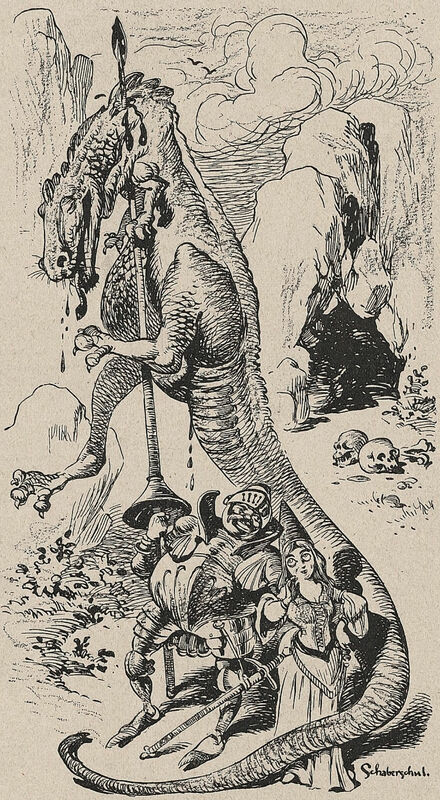 From Imaginotions: Truthless Tales by Tudor Jenks, 1894. "Britain needs you at once." 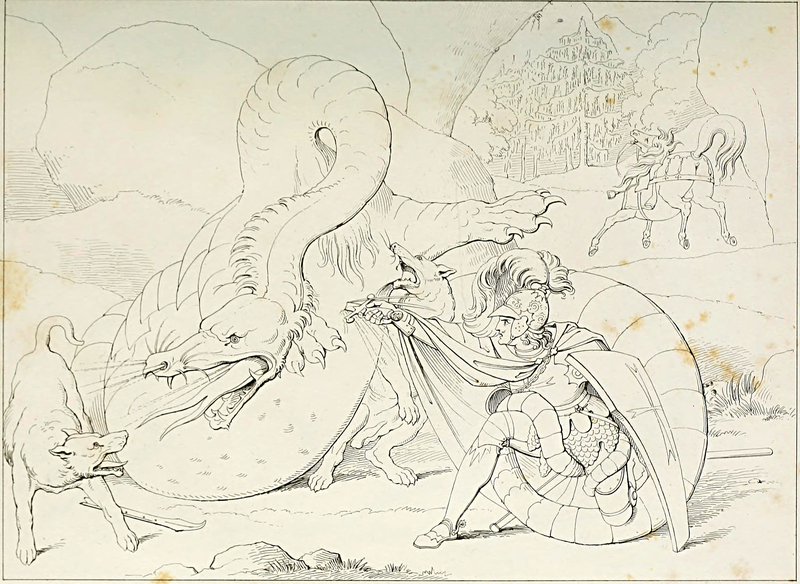 From The Fight with the Dragon by Friedrich Schiller and illustrated by Henry Moses from the designs of Retsch, 1825.